Can A Flavor Or A Scent Receive Federal Trademark Protection? This recent Trademark Trial and Appeal Board (TTAB) precedential decision offers guidance to companies determining whether to seek trademark protection for flavor or scent trademarks. On February 25, 2013, in In re Pohl-Boskamp GmbH & Co., 106 USPQ2d. 1042 (TTAB 2013) [precedential], the TTAB affirmed the USPTO’s refusal to register the flavor and scent of peppermint for pharmaceutical formulations of nytroglycerin. The Trademark Act does not preclude registration of scents and flavors as trademarks. See In re Clarke, 17 U.S.P.Q.2d 1238 (TTAB 1990), where the TTAB held that the scent of Plumeria blossoms for thread and yarn was registrable. The key issues in In re Pohl-Boskamp GmbH & Co., centered around whether the mark functioned as a trademark and whether peppermint affected the quality of the product. Under the Supreme Court’s decision in Inwood Labs, Inc. v. Ives Labs, Inc., 456 U.S. 844 (1982), a product feature is functional if it is essential to the use or the purpose of the goods or if it affects the cost or quality of the goods. 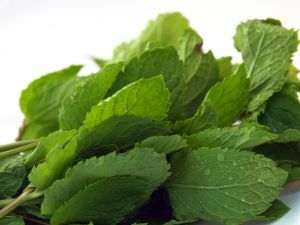 With respect to functionality, the applicant argued that peppermint flavor had no therapeutic properties and that the peppermint did not function to mask the product’s flavor, because nitroglycerin is generally odorless and tasteless. Conversely, the Examining Attorney introduced U.S. Patent No. 6,559,180 to demonstrate that even though peppermint oil is inactive in the spray, peppermint oil used in nitroglycerin spray could enhance the spray’s effectiveness. The TTAB held that this evidence was enough to prove that the proposed mark was functional. It showed that adding peppermint oil may be a means to improve the spray’s effectiveness. That being the case, then competitors may also want to take advantage of this enhancement. If the applicant has the exclusive right to use the peppermint flavor, a competitor would be at a disadvantage, having to forego using the peppermint oil to improve the spray’s effectiveness. The second ground for refusal was failure to function as a trademark. Flavor and scent marks can never be inherently distinctive. In order to prove acquired distinctiveness, there must be a substantial showing to demonstrate that a flavor or a scent is registrable. To prove acquired distinctiveness, the applicant here stated that the use of the peppermint flavor and scent was “substantially exclusive” since 1989. The applicant also submitted 23 declarations of physicians and pharmacists to show that the peppermint flavor and scent acquired recognition. The Board did not give much weight to the declarations, because they were basically identical in form, and not created individually for each declarant. Another factor, cutting against the applicant was the existence of a competing product in the pharmaceutical industry using a peppermint flavor and scent. The Examiner explained that this would allow consumers to believe that the peppermint flavor and scent was a mere physical characteristic of the product, instead of a source indicator. The Board agreed with the Examining Attorney, and also pointed out an additional problem. The applicant did not market either the flavor or the scent as a source indicator. Similar to the way a word mark must be used and promoted, a scent or flavor mark must also be advertised and used in a manner consistent with trademark use. The Board noted that consumers are not predisposed to equate flavor or scent with the source of the product ingested, and the applicant possesses a significant burden to show they have overcome this predisposition through marketing and promotion. The TTAB concluded that the applicant’s proposed marks failed to function as trademarks for the applicant’s goods. In summary, this case provides prospective applicants of flavor and scent marks with a road map for what they can anticipate from the Examining Attorney in regards to a functionality refusal. This case also highlights the substantial burden applicants will have to satisfy when proving acquired distinctiveness, and when demonstrating that the public views their trademark as a source indicator for the product. Flavor and scent marks may be registable at the USPTO, but an applicant must be prepared to satisfy the requirements set for in In re Pohl-Boskamp GmbH & Co., to be successful. If you are planning to file a flavor or scent trademark at the USPTO or planning on filing a U.S. trademark application, please feel free to contact our office with any inquiries.